There is nothing worse for your job applicants than to turn in their application materials and hear nothing. Yet too many employers, according to job searchers, never even send a form letter to let them know that their resume was received. This injures job searchers in a variety of ways. They don't know if you have reviewed their resume. They don't know if they are in the running for an interview or not. They don't know if you have rejected their application or if the problem is that your review process is taking longer than expected. They are left in a fog about what to do next. Is it any wonder that your office receives frequent follow-up calls? This is why you receive phone calls from applicants asking if you have received their resume. The applicant is trying to open up a dialog with you and is hoping that by calling, you will remember him. Most applicants are unwilling to potentially hurt their prospects for a job by asking if they were selected for an interview. Do you need a sample applicant rejection letter? Here are several sample applicant rejection letters for the people that you didn't choose to interview for the job. Use these letters to develop your own rejection letters that will politely and kindly, yet definitely, turn an applicant down. This rejection letter is your standard applicant rejection letter. Send it in response to the resumes and applications you receive from applicants who are less qualified than those you decide to interview. Since many of these applications arrive in email, response via email is acceptable. We appreciate your interest in (Company Name) and the position of (Name of Position) for which you applied. After reviewing the applications received by the deadline, yours was not selected for further consideration. The selection committee appreciates the time you invested in your application. We encourage you to apply for posted and advertised positions in our company, for which you qualify, in the future. Note that, at this phase of your hiring process, applicants want to hear anything that you have to say. If they are not going to receive further consideration or an interview, they deserve to know. Your communication with your candidates is crucial in maintaining your reputation as an employer of choice. You do not want prospective employees bad-mouthing you all over the social media sphere to their friends and relatives. You want them to perceive you as an employer that holds gracious, kind, and professional conversations with your applicants at every stage of your hiring process. This will help you compete for the best talent in the years to come. We have reviewed your application for the position of Marketing Manager at Home Department. Unfortunately, we received applications from many more experienced candidates, some with extensive experience in our industry – which you do not have. So, we will not schedule an interview for you with our company at this time. We do encourage you to apply for open positions that you qualify for in the future with our company. Thank you again for your application and best wishes with your job search. Notice that the rejection letter is brief and doesn’t beat around the bush. It is straightforward and doesn’t offer sympathy. But, it does tell the prospective employee that additional applications in the future will be welcome. So, yes, the applicant is rejected for this job but that doesn’t mean forever. Smart applicants will interpret this as encouragement to apply for additional positions at a later date. They should not view this latter as a complete rejection of their qualifications and credentials. The employer simply had better applicants who were more qualified for the open position. An intermediary step is also encouraged by sending a message to the applicant acknowledging that their application was received. It is easy for an employer to automatically respond to every application received by using an autoresponder. 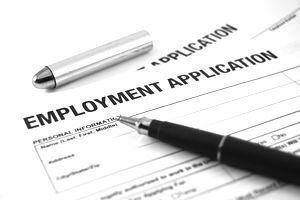 It may sound impersonal, but especially if it is followed up by a letter similar to the above, the prospective employee at least knows that you did receive their application. The rejection letter then becomes the second time that you correspond with your applicants. This is how effective human resources departments respond to applicants. See another sample, simple rejection letter sample for applicants whom you reject without an interview. Here is another sample rejection letter for applicants whom you choose not to invite for an interview. Here is a sample rejection letter for a candidate who did not appear to be a good fit for your company culture. See another sample rejection letter for use when you’d like the candidate to interview for a different job in your company. Here is a sample rejection letter for a candidate you hope applies again in the future: good cultural fit. Find another sample rejection letter for an applicant whom you hope reapplies in the future. This is a rejection letter for a candidate who was not selected following a first interview. Find a sample rejection letter for a candidate who is rejected following an interview. Here is a sample rejection letter for a candidate who was not selected following a second interview. Find out more about how to write job candidate rejection letters. What if the candidate you are contacting was successful in his or her application? Use these sample job offer letters to let the candidate know the good news.